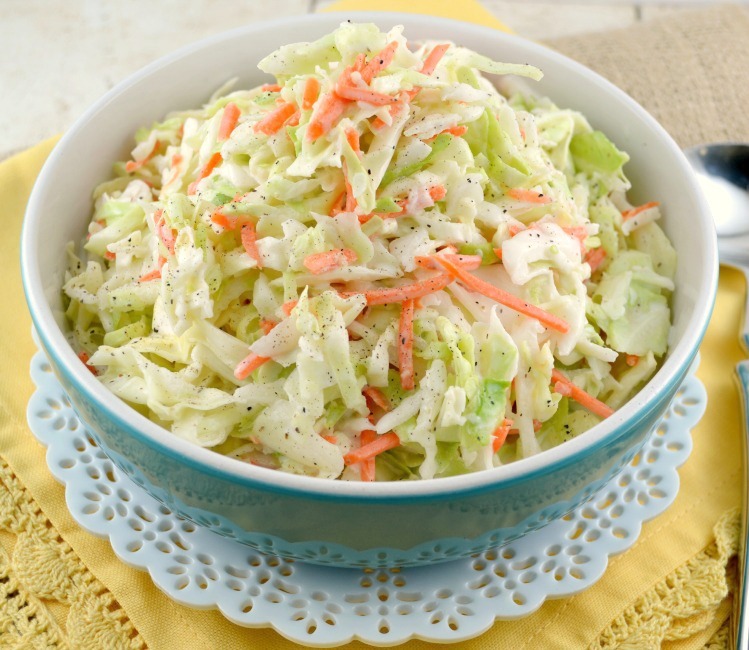 If you have ever been to KFC you should know their famous coleslaw. Whenever I go there I have this amazing salad until a friend gave me the recipe and I made it home! Check it out. 1 tbsp of finely grated onion. ¼ cup of well shaken buttermilk. 2 ½ tbsps of fresh lemon juice. ⅛ tsp of black pepper. 8 cups of finely diced cabbage. Mix together all of the ingredients in a large bowl except for the carrot and cabbage. Once the mixture is smooth and well combined, mix in the cabbage and carrot and stir to coat. Refrigerate covered for 4 hours at least. Stir before serving and Voila! Easy, peasy and creamy! I once served this salad with fried chicken and rice, it felt like we were in KFC! Give this a shot, you will surprised!